Welcome to the Argyros Girl Scout Leadership Center (GSLC) reservation system. The Argyros Girl Scout Leadership Center is reserved for the sole use of Girl Scouts of Orange County members and limited to one reservation per troop, per membership year. 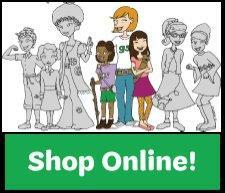 To become a Girl Scouts of Orange County Member, visit www.girlscoutsoc.org/JoinGS. There are two rooms available, Innovate and Explore. Each room has a capacity of 25 people. Please select the room that best meets your Troop’s reservation date requirements (both rooms are identical). Click on the 1. Leadership Center Rooms link below. If you have more than 25 people, you will need to reserve both Innovate and Explore. To reserve both rooms, please select the Entire Center option. Each reservation time is for a 22 hour period. Check-in begins at 2:00pm on the date that you select and ends at 12:00pm (noon) the following day. Please click on the available date that you wish to check-in, click the following day that you will be checking out and select Reserve. Follow the remaining prompts to complete your registration. Note: While not every Troop will decide to stay overnight at the GSLC, the facility will be reserved for your Troop for the 22 hours reservation period that you have selected.